Foster Supply stocks single wall pipe from 4” to 24”. Single wall pipe is most common on farms, golf courses, parks and playing fields for the purpose of channeling away excess underground moisture. 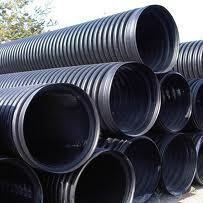 We offer the option of perforated and solid HDPE pipe in most of our stock sizes. Our smaller diameter pipe comes in 100 ft. rolls that is either perforated or not, and most commonly used for gutter drainage and other low flow applications. We also provide both soil tight and water tight options. Large quantities are kept in stock at all times, but if it is not in stock we can get it very quickly.